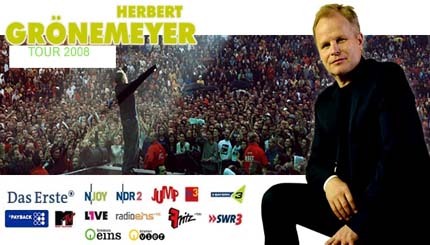 Herbert Arthur Wiglev Clamor Grönemeyer (born April 12, 1956) is a German musician and actor, popular in Germany, Austria and Switzerland. He starred as war correspondent Lieutenant Werner in Wolfgang Petersen's movie Das Boot, but later concentrated on his musical career. His fifth album 4630 Bochum (1984) and his 20th album Mensch (Human) (2002) are the best-selling German-language records of all time.